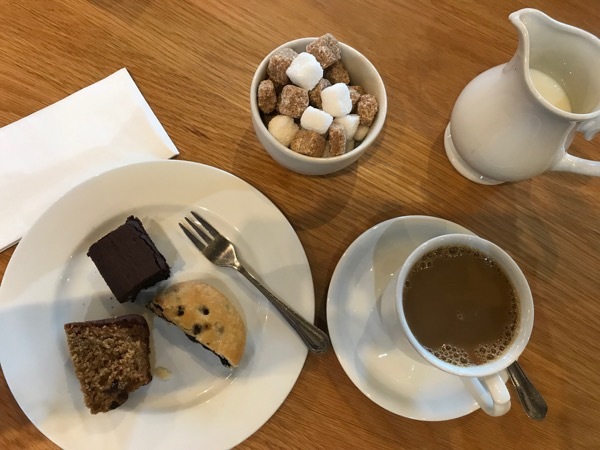 The Chatsworth Farm Shop was established in 1977 by the later Dowager Duchess, Deborah Devonshire, to make best use of the livestock raised on the Chatsworth farms. It was just a very small outlet, selling whole beef and lamb carcasses. Five years later, the Chatsworth House chef was asked to make some extra cakes that could also be sold in the farm shop. The rest, as they say, is history. 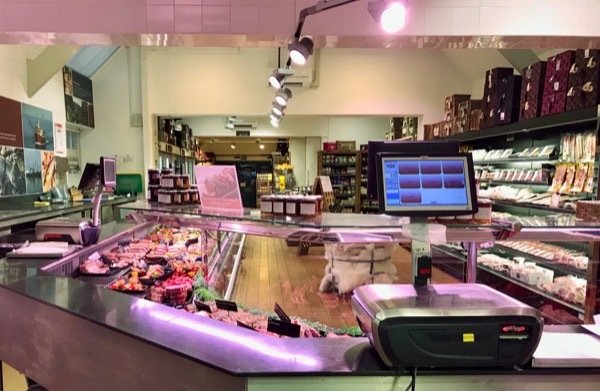 The award winning shop now boasts a butchers counter, fish counter, fresh fruit and veg, delicatessen, patisserie, a growing selection of ready meals and chilled items, an extensive range of wines, beers, gins and soft drinks and all manner of store cupboard items too. 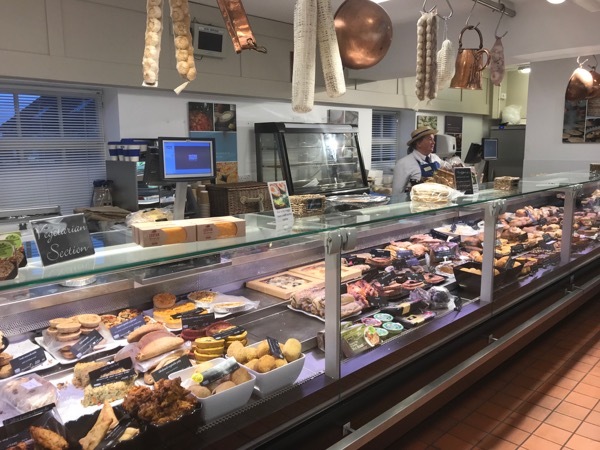 The philosphy of the farm shop is to source as locally as possible, the estate first, then the tennant farms, then other Derbyshire businesses. Only if a product cannot be sourced nationally will an international supplier be sought. As you would expect, quality is paramount and corners aren’t cut in production. For example, a good amount of brandy goes into each fruit cake and Christmas pudding and those products are left to mature for a minimum of 6 months. 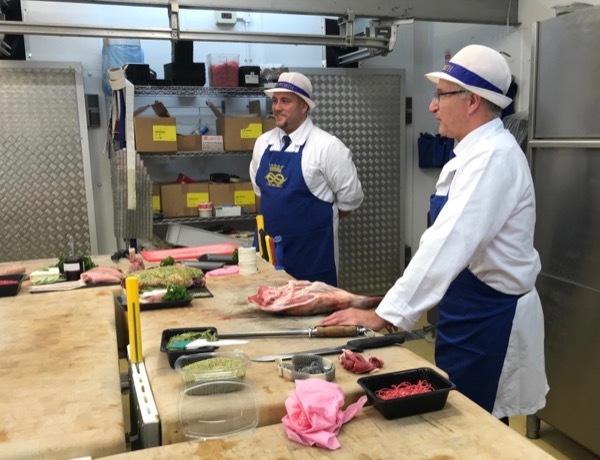 On a behind the scenes tour you’ll get to meet the faces and personalities who bake, butcher and cook a lot of the produce that is on sale and discover some fascinating facts along the way. A real surprise to us was the scale of production at the farm shop. I think that we were expecting it to be bigger, however, the produce is not mass produced, production line style. Care and attention goes into each cake, pie or butchered joint. 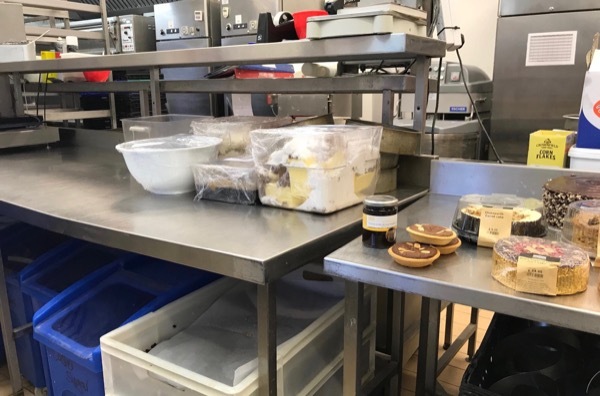 There are three production areas bakery, butchery and main kitchen. Each is only a little bigger than our own kitchen. The staff are there 364 days a year, the bakers being the first on shift each day at 2:30am. Part of the tour is to sample some of the produce and to experience the Farm Shop Cafe. Yummy! The tours are only run three or four times a year but, if you get the opportunity, it’s a fascinating way to spend an evening.